Triangle Radiator & Auto Service knows you need the confidence of knowing when you press your foot to the brake, your vehicle is coming to a stop. Your car’s brakes should be examined at least once a year for the safety of you and your family. 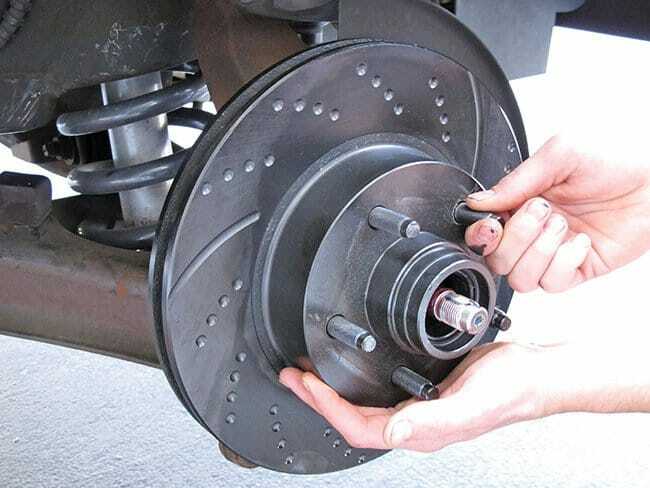 Preserving your vehicle’s brakes is among the most crucial measures you could take and Triangle Radiator & Auto Service offers quality, affordable brake service in Chicago and surrounding areas. Brakes are one of the most important safety attributes on your vehicle. There are 2 types of braking systems on most cars; traditional brakes and anti-lock braking system (ABS). A typical braking system is composed of the rotor, the caliper, and brake pads or shoes. If your brake pads wear and are not changed, the rotors could need to be replaced as well. In order to properly stop your car, brake pads have to be in functioning condition and not worn down to the rotors. Because brakes are a system you use every time you use your car, don’t ignore any sort of complications. Even small changes may indicate your brakes need repair. For ideal performance and safety, have our team at Triangle Radiator & Auto Service check and service your brakes routinely. The quicker you inspect problems and replace brake pads, the safer your automobile will be. Prolonging brake concerns may cause other more costly repairs. Serving the Chicago and surrounding areas, Triangle Radiator & Auto Service is thrilled to be your number one auto repair shop. Contact us to schedule an appointment for a brake inspection today.